Under the title “Toward the Future: Museums and Art History in East Asia,” the 2019 CIHA Colloquium in Tokyo examines the sate of the field of art history in the age of globalization by discussing various issues in East Asian art history from a comparative viewpoint, and explores ways to expand the field of study for the future. It also expects to contribute toward reorienting the history of East Asian art more comprehensively through discussion in the sessions focusing on the foundations and modern development of museums, art history, and other related art institutions and of related practices and activities such as collecting artistic objects and the historiography of arts and artists in pre-modern East Asia. In fact, the substructure that provided the foundations and fostered the developments under discussion varied from region to region in East Asia even though the traditional notion of shuhua or “calligraphy and painting,” for example, was prevailing as the framework within which various artistic practices were attempted in pre-modern East Asian countries. In China, the notion of shuhua seemed to be maintained even after the establishment of modern academic art education and exhibition systems while, in Japan, coinage of the word bijutsu, meaning “Fine Arts,” expelled calligraphy from the realm of art defined as bijutsu and drove traditional notions into the category of outdated customs. In Korea, where the three categories of “Eastern painting,” “Western painting,” and “calligraphy” were maintained in official art exhibitions, traditional notions seemed to compromise with the Western notion of art, even after the neologism of bijutsu was introduced to East Asian countries and continued by the word meishu in Chinese and misul in Korean, using the same set of characters. Considering these contexts in East Asia, this colloquium is subdivided into two sessions: “Comparative or Cross-Cultural Approaches to East Asian Art Before the Sustained Contact with the West” and “The Foundation and Development of Museums, Art Collecting, and Art History in East Asia After the Encounters with the West.” The first session focuses on various issues concerning pre-modern East Asian art and art institutions, while the second concentrates on those of modern and post-modern East Asia. Although the historical context of interactions with the West, as well as the context of modernization, differed from region to region in East Asia as in the case of introducing the Western notion of art, both sessions take comparative and regional, interregional, or trans-regional viewpoints to examine artistic practices and activities of the past and present. These viewpoints may stimulate comparisons between pre-modern practices and modern institutions or between different regions in East Asia. They may also concern Western reactions after the direct contact with East Asia, such as the collecting of objects from the East. The range of topics to take up in the two sessions of this colloquium is rather limited, but a focused discussion, we believe, will contribute to the future development of the field of study. From the 1980s onward, a set of bipolar tendencies has become noticeable in art historical studies. On the one hand, globally-oriented research has expanded the traditional field of study in art history to the study of images and visual cultures in a broad sense or even to a kind of image anthropology. On the other hand, regionally-oriented research has underscored the historicity of the Western term of “art” and been skeptical of the universality of that term, which art history had presumed as the foundation of the discipline from the outset. At present, the field of art history appears to be headed more and more toward a borderless vision. Responding to the present trend, this colloquium is expected to help redefine research frameworks in the field of study. Good morning and thank you for the introduction. I am Zeniya Masami, executive director of the Tokyo National Museum. As a representative of the organizers, I would like to take this opportunity to greet everyone and say a few words. 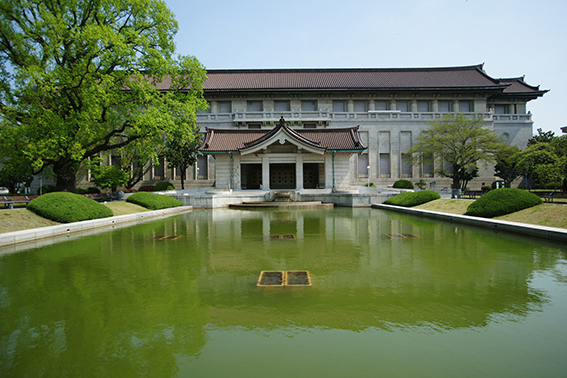 First of all, I am very pleased and honored that the Tokyo National Museum is able to host “Toward the Future: Museums and Art History in East Asia,” the 2019 colloquium of the Comite International d'Histoire de I'Art. I am proud to say that this is the oldest museum in Japan, with holdings of over 117,000 objects. The last colloquium that the Japanese Committee for CIHA and the Tokyo National Museum organized was “Japan and Europe in Art History,” held in 1991. In 2013, the Otsuka Museum of Art, our cosponsor for this year, hosted Japan’s second CIHA colloquium. This Museum’s galleries comprise approximately 1,000 full-scale reproductions of famous paintings from 25 countries, ranging from ancient to modern times. These reproductions are on ceramic tiles. The theme of the symposium hosted by the Otsuka Museum of Art was “reproductions,” which of course relates to the concept behind the Museum. 32 scholars from 11 countries presented at this symposium. The present symposium, “Toward the Future: Museums and Art History in East Asia,” is divided into two sessions during which 18 scholars from 9 countries will present. Although smaller in size, I believe it equals the symposium at the Otsuka Museum of Art as 73 scholars from 11 countries submitted presentation proposals. I believe this fact shows that many scholars have great interest in and high expectations for this symposium. As Professor Suzuki Hiroyuki will discuss the aims of this symposium in his opening presentation, I would just like to express my hopes for this event. I hope that through the upcoming presentations and discussions, we will be able to grasp how art historical research is progressing in East Asian countries, allow this research to contribute to the creation and development of a global art history, and I also hope that what we learn and discover here will be reflected in the future programs and activities of numerous museums. Lastly, as a representative of the organizers, I wish to express my deepest gratitude to Professor Zhu Qingsheng, president of CIHA, who approved the holding of this symposium; the members of the CIHA Committee; the Kajima Foundation for the Arts, which has provided generous financial assistance for this symposium; and the Science Council of Japan and The Japan Art History Society for their dedicated support. I wish everyone the best for the two day of this symposium. Thank you. We are very glad that Japan is hosting the last International Conference prior to the 35th World Congress of Art History, a gathering organized by the National Committee for CIHA Japan, The Tokyo National Museum with a co-organizer, the Otsuka Museum of Art. In the past, the CIHA had held many international conferences that engaged participants from various countries, and called them “the International Congress of CIHA”. But such “international” outlook has long changed. When Ruth Philips was the President of CIHA, she once said that the main task of CIHA is to shift its focus “from internationalization to globalization”. That is to say, every region or organization can be described as “international”, so long as it has gone beyond the boundary of the country or language it belongs to. Whereas today’s world is a globalized one, the CIHA must engage all countries, without even one being left out. Hence, the name of the CIHA congress has changed ever since. The Congress held once every four years is called “the World Congress of Art History”. At the 34th World Congress of Art History held in Beijing, we focused on “Terms” as the central theme of the Congress. It was to show that, in different cultures and across different historical periods, Art refers to different things, and our researches on Art History are ever-changing as well! Only by recognizing the differences between us, we can see the diversity of the World Art History. It is because we are different from each other that the World Art History has become so meaningful and significant. In today’s world, Art can transcend Wars, Sports, Economy and Politics, only by recognizing others’ differences. Today, we are gathering again in Japan. This Colloquium is “international” by nature, because the theme it focuses on is “international”, tackling the history and status quo of regional museums in East Asia. China is a developing country in East Asia. Its development also engages building museums. According to a survey done this week, there are 5126 museums in China, among which many are private or unofficial museums founded by individuals having their own understanding of how a museum shall look like. Museums in East Asia had undergone three stages of development, related to museums in other regions, particularly Western museums, in many ways. The first is the pre-modern period. Before the 19th century, East Asia had already implemented many apparatus to conserve antiques and valuable items, which were similar to the “Mouseion” (Temple of Muse) built by Alexander the Great in 3th century BC to conserve antiques. They served to keep both historical documents and antiques procured from many places. In 206 BC (during the Han Dynasty in China), the court built the Shiqu Pavilion （石渠阁）, the royal library, which also kept some maps and portraits. It was like a present-day museum already. The Shosoin（正仓院）in Japan is another example. The second is the modern period, when the concept of the Western public museum was accepted and introduced. East Asia had learned from the West when building museums that served as public institutions in the modern era. The concept of “museum” was imported from the West. The first museum in China was opened in 1868, located in Shanghai—a project initiated by French priest Pierre Marie Heude (1836-1902). The first museum built by Chinese is the Nantong Museum, masterminded by Zhang Jian in 1905. A national museum, namely, the Central Museum of China, was founded in 1936. By 2019, China has more than 5000 museums. Every city and county is busy with building or rebuilding its own public museums. More than 2000 museums have just newly emerged. China is facing many challenges when coming to building museums, hence this Colloquium has great reference values to China. The third is the postmodern period. In terms of the future, East Asia has no model to follow. We are facing with the same problem with the West. We have to explore the development of museum and solve potential problems. We raise common questions: What is the “museum”? What will “museum” be like in the future? These questions have transcended the modern era, pointing towards the future. In 2017, I was invited by the Tsinghua University Museum to give a serial of talks, which will be published in book form by the Commercial Press in China. During these talks, I discussed three issues. The first issue focuses on the fourth functionality of a museum: the experimental function. Besides collection, education and research, museums shall have another functionality, namely, to conduct various experiments at the social-cultural, judiciary and moral periphery, including experiments on new technology and new ideas. Such experiments shall be contained in the museum system, enjoying certain privileges, while being monitored by certain supervisory mechanisms. In this way, museums can serve as “laboratories/labs” in the human world. Secondly, since the rise of new media has led to many uncertainties, museums can conduct experiments on new media, exploring future developments of humanity (i.e., the posthuman), as well as the “post-social” and the “post-natural”. While the future world features artificial environment and cyborgs, museums become the sites where experiments on new media, new technology, and new ideas can be conducted. The third issue focuses on the contemporarity of museums. Museums shall engage with politics and aesthetics in the contemporary era, even though they exhibit ancient works and natural phenomenon. On one hand, they shall interact with the audience living in the present. On the other hand, as artificial intelligence (AI), bioengineering and material science are highly developed today, aesthetics concerns how humans shall open themselves, and unceasingly defend their dignity and personality. Today, museums are no longer the safeguard and continuing of traditional aesthetics. They shall reinterpret history and natural phenomenon through creative methodologies, and champion new aesthetics. Any type and any one of exhibitions and activities in the museums shall be a contemporary creation for modern people. We don’t know what the new aesthetics shall be. What really matters about aesthetics in the contemporary era is to explore what we don’t know. In the second phase mentioned above, i.e., the early stage of museum development in East Asia, Japan had always been a model that China learned from. The Chinese translation of “museum” is “bowu guan” （博物馆）, and the phrase “bowu” （博物） is directly adopted from the Japanese Kanji system. China has learned from Japan about how to conserve and study antiques, and how to embrace other cultures in the world. At a meeting in Peking University, where I teach, we once discussed why Japanese Studies has been so advanced in Japan. As my colleagues concluded, Japanese scholars have done advanced job in all academic fields, no wonder Japanese Studies is so excellent in Japan. As to Japan’s museum enterprise, the same is true. The participants at the Colloquium come not only from East Asia, but also from all over the world. This makes us even more glad. They will discuss this topic from diverse perspectives, which make the topic not only “international”, but also “global”. We hope this is the direction we will take in the future. That is to say, even when we discuss a specific/regional topic, the perspectives we take must have an “international” and “global” dimension. Only by doing so, we can understand each other better in a broader sense, and we can unite in a more profound way. I want to thank Mr. Hiroyuki Suzuki, president of the Executive Committee for the CIHA 2019 Colloquium in Tokyo, as well as the National Committee for CIHA Japan, and its representative, Mr. Zeniya Masami, for the work they have done. I also want to thank Mr. Shigetoshi Osano. And all my colleagues who come to participate in the event, thank you!